CGEST Executive Director Kimberly A. Scott says that “too many African-American, Latina and Native American women are pushed out of the STEM experience” during their college years. Jo Handelsman, associate director of the White House Office of Science Technology and Policy, formally announced formation of the National Academic STEM Collaborative, which is to be managed by the Arizona State University Center for Gender Equity in Science and Technology, or CGEST. 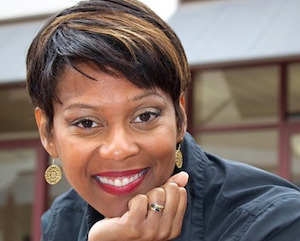 CGEST executive director and Arizona State University associate Women and Gender Studies professor Kimberly A. Scott is leading the collaborative. “Expanding diversity in STEM requires work on many, many fronts. It requires a diversity of efforts,” Handelsman said. Handelsman has described the initiative as one addressing the “need to transform the way STEM is taught” given the growing diversity in K-12 and college student populations in the U.S.
“By encouraging innovations in STEM teaching, addressing the issue of bias, and also awareness of the types of teaching we use, we are trying to promote positive images of scientists and engineers and promote new ways of teaching that will benefit a broad group of diverse students,” Handelsman said in a statement. The collaborative is expected to establish comprehensive online resources, such as education tool kits and workshops, which will disseminate proven best practices in STEM education. Other expected outcomes will be tracking systems that monitor the progress of women of color pursuing STEM degrees and training efforts that target teachers, hiring managers and executives in helping them eliminate bias in schools and the workplace. Scott notes that “too many African-American, Latina and Native American women are pushed out of the STEM experience” during their college years. Hailed as an innovative leader in the realm of creating STEM opportunities for minority females, Scott is the founder of the nationally-recognized CompuGirls program, which introduces adolescent girls from underserved school districts to digital technology. The idea for the collaborative emerged this past summer following a July meeting in Washington that was co-hosted by the White House Council on Women and Girls and CGEST. Scott said meeting attendees, which included college presidents and other higher education leaders, agreed that there was a need for higher education and nonprofit institutions to create a central repository where evidence-based ideas could be shared and made easily available to organizations. “Right now, there’s a lot of important and significant work being done but in isolation,” Scott told the Arizona Republic. Scott explained the collaborative aims to go beyond sharing ideas and says partners will employ a research-based strategy to develop new programs and initiatives. “We’re not just throwing things out. We’re being strategic. We are being intentional,” she said. Dr. Patricia Sobecky, the associate provost for academic affairs at the University of Alabama, believes that, while her institution has made a valiant effort to develop STEM initiatives aimed at women students and inclusive of schoolgirls at the K-12 level, the university has much to gain by participating in the new collaborative. “I think for us there’s so many great activities going on at [our] campus that having an opportunity to bring them all under a connected umbrella … and then connect out nationally was really attractive for us at the administration level because we want to share these things,” Sobecky told Diverse. “We also want to get innovative ideas as well. … It gives our students an opportunity to see other programs,” she said. In addition to Arizona State and the University of Alabama, other collaborative educational institutions are Amherst College, City College of New York, Diné College, Maricopa Community Colleges, Spelman College, University of California–Riverside, University of Maryland–Baltimore County, and the Project on Race & Gender in Science & Medicine at the Hutchins Center for African and African American Research at Harvard University. Partner nonprofit institutions are the American Indian Higher Education Consortium, Arizona STEM Network, Iridescent, National Hispanic Caucus of State Legislators, National Math + Science Initiative, National Society of Black Engineers, OCA – Asian Pacific American Advocates, STEM4Us!, and the Surge Assembly.